Dyslexia, Dysgraphia, Dyscalculia and Dyspraxia – How are they different? What are the differences between Dyslexia, Dysgraphia, Dyscalculia and Dyspraxia? Dyslexia – is defined as chronic neurological disorder causing inability or great difficulty in learning to read or spell, despite normal intelligence. It inhibits recognition and processing of graphic symbols, particularly those pertaining to language. Symptoms, including very poor reading skills, reversed word and letter sequences, and illegible handwriting, usually become evident in the early school years. With early recognition and specialized approaches to teaching reading, most dyslexics can learn to read. Anomalies have recently been found in reading-related pathways in the brains of dyslexic persons, according to Webster’s Dictionary. Dysgraphia – According to the National Center for Learning Disabilities (NCLD), Dysgraphia is a learning disability that affects writing, which requires a complex set of motor and information processing skills. Dysgraphia makes the act of writing difficult. It can lead to problems with spelling, poor handwriting and putting thoughts on paper. People with dysgraphia can have trouble organizing letters, numbers and words on a line or page. Dyscalculia – The NCLD describes dyscalculia as a wide range of lifelong learning disabilities involving math. There is no single type of math disability. Dyscalculia can vary from person to person. And, it can affect people differently at different stages of life. People with dyscalculia can have visual-spatial difficulties and language processing difficulties. This means they have trouble processing and understanding what they hear. Dyspraxia – Developmental dyspraxia is an impairment or immaturity of the organization of movement. It is an immaturity in the way that the brain processes information, which results in messages not being properly or fully transmitted. The term dyspraxia comes from the word praxis, which means ‘doing, acting’. Dyspraxia affects the planning of what to do and how to do it. It is associated with problems of perception, language and thought, according to the Dyspraxia Foundation. Children that have dyspraxia may suffer from clumsiness, slightly slurred speech, awkwardness with walking or short term memory loss. All of these learning disabilities are treatable with early intervention. Brock’s Academy can help your child if they have any of the above conditions. We pick highly trained tutors that specialize in helping kids be successful no matter what learning challenge they have. If your child is struggling in school due to dyslexia, dysgraphia, dyscalculia, or dyspraxia, give Brock’s Academy a call and we’ll help your child gain self-confidence and open a new window of learning in their mind. 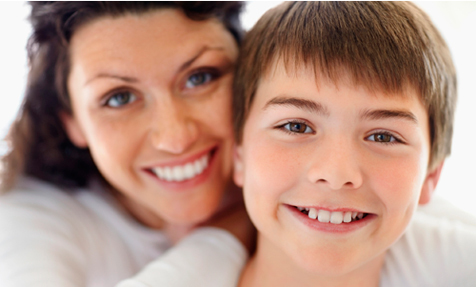 We will work one-on-one with your child to give them the opportunity to be successful! Call Brock’s Academy at 425-483-1353 or go to http://brocksacademy.com/contact-us/. They would probably be able to give you more local references.